Ok, cut the list. Anything you think tastes sweet and you want it – Let us know how we can help you and make life easier, minus all the trouble. Started in December 2013. Quite young hence there is so much to improve! And we value your thoughts as well. 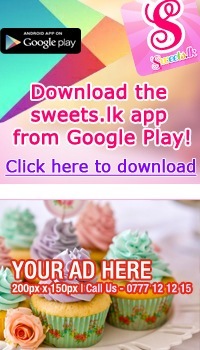 The only site in SL to satisfying all your sweet cravings! That’s it. We just want to be the one stop sweet shop..